I recently published a post called Patent Changes Pending at NoJitter. What inspired the post was the company called VirnetX which many would classify as a UC Patent troll. The firm collects patents and then sues (UC vendors) for royalties. I thought it would be an interesting post to write, but it kept getting put off. After Obama and the White House started attacking patent trolls, I decided to begin the transition from idea to post. Once I started writing about the problems with the Patent system, the story got broader and the parts about VirtnetX ended up on the cutting room floor. Fortunately, the TalkingPointz historical society were able to gather-up some of the fragments and reconstruct the portion about VirnetX. It is posted below for your viewing pleasure. Apple and Samsung’s patent battles made recent prime time news, but trolls and infringement suits are hitting closer. VirnetX (VHC) is a holding firm that most UC vendors know. As of December 2012, It held (through acquisition) 20 US and 32 foreign patents largely in IP-telephony, mobility, fixed-mobile convergence, and unified communications. VirnetX filed a suit against Microsoft in 2010, and Microsoft claimed VirnetX was created solely to sue it. The lawsuit was eventually settled with Microsoft paying VirnetX $200 million. Apple got slapped with a judgement to pay VirnetX $368.2 million. Aastra, Siemens Enterprise, Mitel, and NEC all agreed to license patents from VirnetX. VirnetX and Avaya appear to be headed to court. 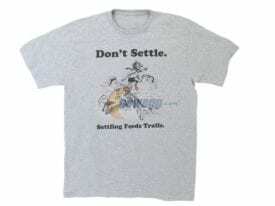 NewEgg has figured that some of its loyal customers might want to get in on the fight, and are now offering an anti-patent troll t-shirt which can be purchased through their royalty-free e-shopping cart. 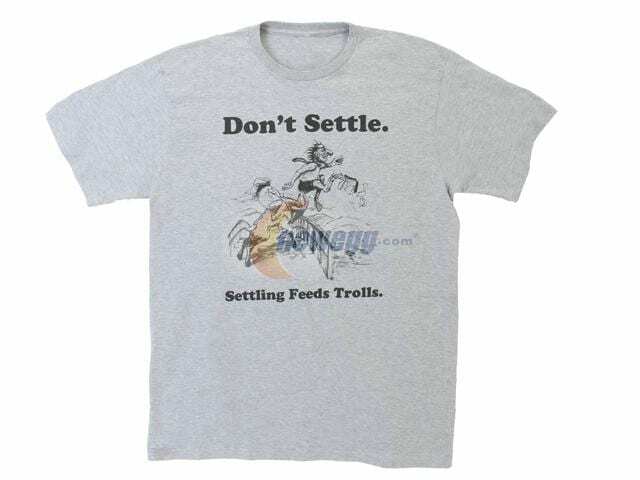 The proceeds of Newegg’s new T-shirt will go to fighting said patent trolls in court. “We’ve been proudly kicking patent trolls’ asses for eight years — it’s terrible what they’re doing to small companies that can’t defend themselves,” Lee Cheng, Newegg’s chief legal officer. As I stated in the NoJitter post, the crux of the problem really isn’t trolls. Innovators should be allowed to sell their patents as one means of monetization. Just because VirtnetX doesn’t actually develop any new patents, doesn’t necessarily make them an evil troll. What makes a troll a troll can be difficult, but many of the UC vendors know one when they see VirtnetX. While many agree the Patent system is broken, few agree on how to fix it. Some believe software patents should be eliminated – that will help the software industry. Some believe the patent system needs to be more adversarial (the patent process really only involves the one side applying for the patent). I won’t pretend to know the answer, but the current system is clearly stifling innovation. TechDirt: So How Do We Fix The Patent System?